After Hours Emergency number is 814-683-5688 / 24 hours a day. Please leave a Message and someone will return your call. 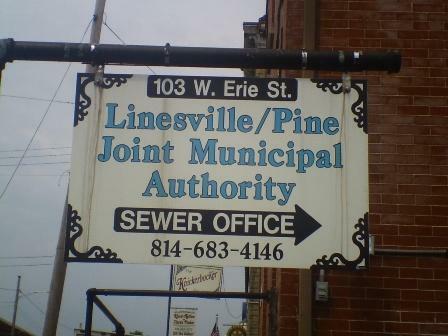 For Sewer Lateral Permits, inspections, rules and regulations, billing questions, etc., please contact the office during normal business hours. LPJMA Board members voted last fall to implement a new standard to have all laterals connected to our system video tested, die tested, and/or smoke tested when the property is transferred or sold. In the past few years there has been other Authority’s in the State of Pennsylvania do the same standard because of high I&I (inflow & infiltration). Since this standard has been used by LPJMA, we have found and corrected a large number of issues with the rate payers/ new customers help. We are all a part in making the environment safe for our future. This standard gives the seller and the buyer peace of mind knowing their sewer line has been tested / checked. So Remember: Whenever a property is for sale and/or transferred that is connected to the LPJMA Sewer system, the Lateral line must be video taped by a Lateral Inspector and then viewed by the Sewer Authority Representative to be sure there is no problem with the line. Call the office @ 814-683-4146 for a list of Lateral Inspectors BEFORE YOU SELL!! You can pay your bill on line through our website at www.goh2o.net/lpjma Follow the prompts for paying. Due to inflation and necessary repairs, LPJMA will be raising rates on January 1, 2019. You will not see this increase until the January 2019 bill is sent out the first week of February, 2019LPJMA has worked with an Independent Auditor to go over the finances of the authority and has come up with a recommendation that the board raises the rates to $4.00 dollars over the next 6 years, assuming that inflation and repairs stay in check. The LPJMA Board voted to raise the rate $1.00 dollar per EDU (Equivalent Dwelling Unit) for 2019. If you have changed your mailing address, Phone Number or Name you should call the office and let Karen know this. Just one reason why we need things updated on a regular basis is for emergencies. Not only do Fire, EMS, Police need your address posted, but LPJMA does also. If we get a call from you in reference to sewer related issues we need to know where to come to. This makes everyone’s job much easier when we come and locate your home. If you don’t know your Physical address you can contact your local Municipality. At the Board meeting once a month, we are still drawing for a gift card. (no names--Customer account number only) The Winner will only be eligible if their account is current. 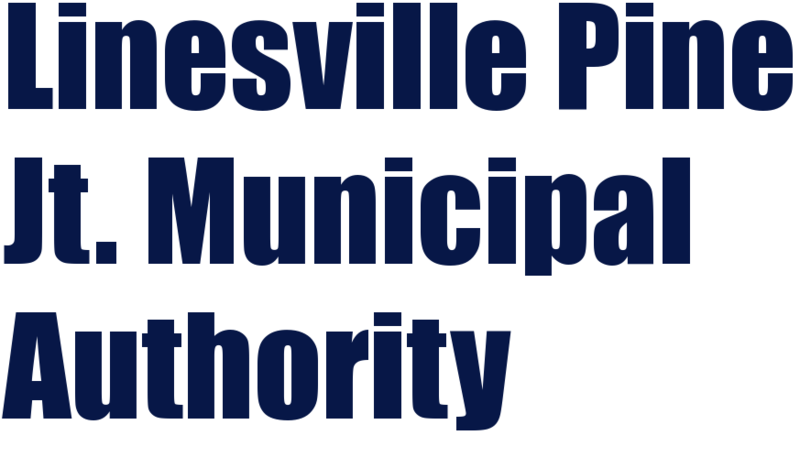 Not eligible for the drawings will be Board members from LPJMA & Employees, Board Members from the Borough & Employees, and Township Supervisors & Employees. We will continue to do this while supplies last . Note: These gift cards do not cost the Authority any public money and come from points accumulated by purchases the Authority makes. The toilet is a magical trash can. Simply toss, flush, and your garbage is marvelously whooshed away to some watery subterranean netherworld, never to be seen again. Or so we like to think. In fact, such practices clog toilets, damage water treatment facilities, necessitate expensive cleanups, increase water bills, create raw sewage overflows, harm marine animals and create toxic environmental issues. With that in mind, here are the things that often end up in the sewer system — none of which have any business being there. Baby wipes: Although these may be used to wipe your baby's bottom, they are not toilet paper. Baby wipes are thicker, sturdier, and do not break down easily, resulting in clogged systems. Band-Aids: Made of non-biodegradable materials, they easily tangle up with hair and fat to create blockages. Cat litter: Scoopable and flushable cat litter sounds sensible, but in reality, it causes problems. Flushing litter and feces down the hatch not only causes plumbing problems, but it’s possible that a parasite found in cat feces is killing sea otters and seals — and it could be coming from flushed cat waste. Chewing gum: Flushing what is basically an adhesive down the toilet is not a sound practice, for obvious reasons. Cigarette butts: Although they seem flushable, cigarette filters don’t easily biodegrade and they are filled with chemicals, which leach into the wastewater. Condoms: Easy to flush, but not so easy on the sewer system. Condoms can inflate like balloons and cause fairly destructive obstructions. Cosmetics: Your old moisturizer and other beauty care products can be potentially toxic and disruptive to wastewater treatment plants and septic systems. Cotton balls and swabs: Cotton doesn’t break down easily, and although it may take a while for cotton products to accumulate into a clog, they are difficult to dislodge once they do. Dental floss: Seemingly innocent, dental floss is non-biodegradable and wraps around small clogs and tangles them into bigger masses. Disposable diapers: It’s hard to believe that one could even get a diaper to flush down the toilet, yet that hasn’t stopped sewage workers from finding systems clogged with disposable nappies. Dryer sheets: It's bad enough to tumble synthetic chemicals with your clothes, but flushing a dryer sheet afterwards is even worse. They retain synthetic chemicals that can get into the water system, and they are made from non-biodegradable materials. Feminine supplies: The padding and absorbent nature of these products make them too thick for the plumbing. Food fat: Grease and fat congeal once they cool down, turning into solid masses that block pipes and cause serious sewage problems. Sewer workers call the giant grease lumps "fatbergs." Food: Although food is biodegradable, it can still lump together and cause clogs. Hair: After cleaning your hairbrush, deposit the clump in the garbage not the toilet. It tangles, catches things, and clogs like crazy. Paper towels and napkins: Too sturdy for the pipes. Pets: Yes, pets. Goldfish are commonly flushed, but small rodents (hamsters and gerbils) are also found in sewer systems. They’re sturdy and they create clogs; consider a proper burial. Prescription medicines: No, no, no. Marine life does not need to ingest your old drugs, not to mention that flushed meds can work their way back into our drinking water. See the Food and Drug Administration guidelines for disposing of unwanted medications. Unfortunately, many items marketed as flushable, aren’t. Take two bowls of water and put toilet paper in one, and place the test item (Kleenex, wipes, etc.) in the other. Swish both items in the water and then wait an hour before swishing again. The toilet paper should have significantly disintegrated by then, while the other will likely have remained somewhat whole. 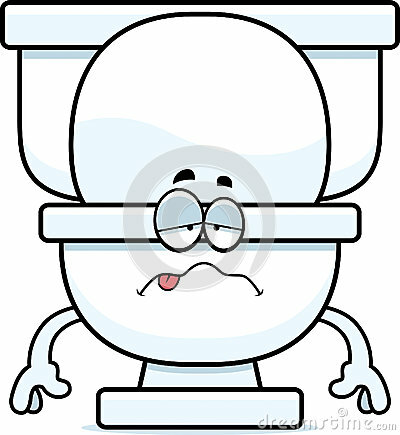 Unless the item disintegrates at the rate of toilet paper, it should be placed in the garbage rather than flushed. Please click on the link below and follow prompts. picture of hair, rags, towels.